Clips are the fastest and easiest way of securing your pattern. Hovever, if you want to use something which you already have on hand, you can use a rubber band. 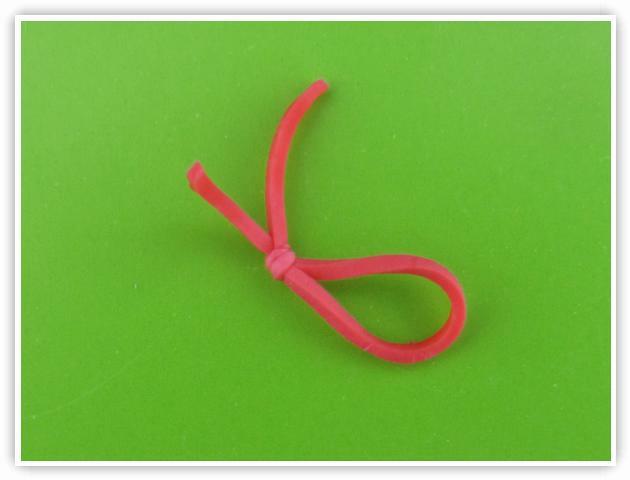 Rubber Bands can be tied into knots. The added bonus of using a rubber band to close off your pattern is that you can color match it perfectly to your bracelet. Copyright © 2013-2019 Rainbow Loom Patterns. All rights reserved.